Like every other ColdFusion release starting from ColdFusion 9 version, i have created this list for easy access to ColdFusion tutorials, guides and articles. I'll be adding more articles to this new ColdFusion 2018 Tutorials section in the coming weeks. A big thanks to Charlie Arehart for his detailed list of ColdFusion 2018 collection and inspiring me to do this for every CF release. Like last year, the team at Agile Arizona has scheduled the event for this year as well. I'm going to attend this year event and looking forward to meeting the like minded folks at Phoenix Area. Adobe released ColdFusion 2016 a week back and like before, i created a new page for collecting all the articles, reviews and blog post from the community members for this new release of ColdFusion. I hope this will be useful for the fellow folks like me who want to see a categorization of articles and features with this new version of ColdFusion. Happy to announce the 1 year completion of CFMLThisWeek! newsletter. If you are reading this post and not aware about CFML Weekly then I would suggest you to subscribe to it - http://tinyletter.com/CFMLWeekly. It will give a quick snapshot of top CFML news, code releases, tutorials etc. Your Inbox will not be junked with irrelevant information and you can unsubscribe at any time. 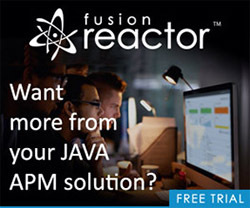 As you all know the public beta versions of ColdFusion 11 (Splendor) and ColdFusion Builder (Thunder) has been released a week before and there are good number of blog posts are already started coming out. I have started collecting all those articles, blog post from Adobe team and from the ColdFusion community at the new ColdFusion 11 tutorials section of my website. GetCFMLJobs.com aggregates the best CFML jobs on the web for CFML developers. The main intention is to simplify the CFML job search and to bring the best ColdFusion Jobs posted around the web for CFML developers. CFML/Web/Salesforce/Agile Enthusiast, Husband & Dad, an avid learner & android fan. Creator of GetCFMLJobs.com who works as a Tech Consultant in Toronto, Canada.